At N 47°36’58,W052°45’10 lies Cougar Helicopters. On a day with clear blue skies and brilliant sunshine, one could think they found a little piece of paradise. But don’t be fooled! The unforgiving North Atlantic brings with it some of the world’s harshest and most challenging weather conditions. 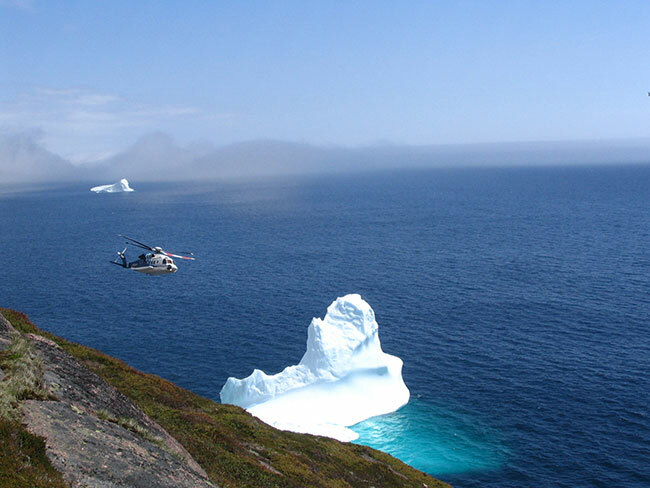 Fog, high winds, freezing rain and sea states are routine to flying conditions, as well as maintenance and ramp operations, off the coast of Newfoundland and Labrador and Nova Scotia in which Cougar Helicopters operates. However, this is home for Cougar and operating safely and efficiently in these conditions is what makes Cougar known as a harsh environment specialist. A self-awareness of the lack of depth of the program grew within the organization. Its safety program was not inclusive enough to the then management team and some supervisors. So, much so that at the start of the 2014 auditing program, Cougar had to put its hand up to its customers and conclude that change was required. The audit results reflected the same awareness and so Cougar aggressively went to work. At one point, there was a false start when the direction they took did not work out as they had anticipated. The potential consequences could not be understated. There was a latent threat to the entire operation. 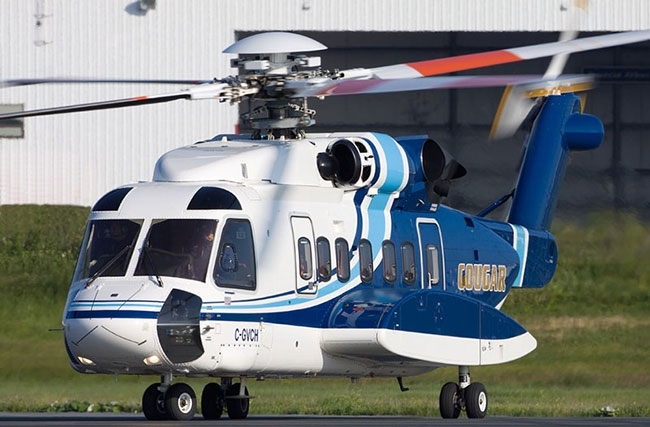 The management team then went looking for outside guidance and found it in British Columbia, the home of Cougar’s parent company, VIH Aviation Group, which is headquartered in Victoria. The company discovered and hired Gary Grass and Abante Intelligent Solutions, safety and quality management consultants. 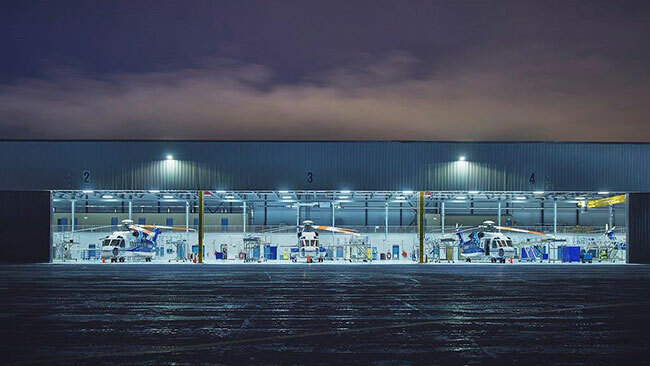 Abante’s forte is SMS and its clients include rotary- and fixed-wing air operators, airport, oil and gas producers, hydro utilities, academic institutions and industry councils. Cougar had initially introduced a SMS program about 10 years ago. The first few years, Grass explained, “They built their box. They worked with the mechanics and their customer evaluations went reasonably well. However, the recognition that it wasn’t where it should be caused Cougar to dig deeper, to add safeguards and to enhance training. By way of an annual Safety Case, Cougar management strives to demonstrate that the company is committed to establishing and nurturing safe systems of work and a positive safety culture focused on the wellbeing of its employees, customers and passengers. The prelude to the organization’s safety analysis was almost a self-inflected wound. The aircraft that brought Grass and the VIH CEO to Newfoundland also had as passengers the chief corporate counsel, the vice-president of business development and the chief financial officer. Many organizations today have rules preventing multiple senior executives from flying on the same aircraft, whether private or commercial. “What happens when the aircraft crashes?” asked Grass. Obviously it takes with it a significant portion of the business’ brain trust and such a crash could be fatal to the company’s future as well. Another adjustment was the creation of an Occurrence Review Board (ORB) in which every aviation or health and safety event is discussed with all departments represented. The investigation includes follow up actions and analyses of related procedures. The annual Cougar Safety Case demonstrates and highlights that the company is a proactive organization in its approach to identifying, assessing, analyzing risks and the application of risk mitigation procedures, management of change, as well as responding to incidents and implementing corrective action within the proactive system. Jacobs noted that awareness, assurance, training and accountability are the cornerstones of the risk management strategy. Indeed, about six weeks after the new “unifed SMS” was implemented, Cougar’s oil and gas clients came by to take a look. They were pleased to see a new and improved more robust SMS program and identified the beginnings of a turnaround. Cougar Helicopter remains one of the world’s most reliable oil and gas operations. “We’ve got a good temperament that fits with the organization,” Jacobs said. “You’ve got to make this personal. It’s not just the safety and quality manager’s job. It’s not a manual on the shelf anymore. It’s vertical and it’s lateral and we use it every day.” Indeed, it is the basis of how Cougar operates. Oil and gas customers expect medium and even small companies to demonstrate the same elements of SMS as the larger service providers, Jacobs noted. “They ask for it in the contract. But they don’t provide a lot of detail,” he said. There has also been an increase over the past two years in the number of reports. That suggests employees believe reporting will be acted upon, according to Williams. “It’s a sign people want to contribute, they want lessons learned and they don’t want a repeat of hazards,” he said. The new Cougar persona has also helped them weather the recent economic downturn caused by depressed global oil prices. “The same internal champions are still driving safety awareness,” said Grass. “Key stakeholders are doggedly determined in their ability to adjust internally.” He said a recent re-engagement with a client and potential new revenue sources are positive indicators. Sister company VIH Helicopters was so impressed with the change in Cougar’s culture, they have begun adopting a similar but tailored approach to SMS. VIH is Canada’s oldest privately-owned helicopter company and provides support for emergency medical, firefighting, heli-logging, aerial construction, heli-skiing and charter. Unlike Cougar, which is driven by its oil and gas customers, SMS is not mandated for operators like VIH. They’re doing it anyway. “People are starting to think differently, to work proactively in order to identify risks that can be mitigated,” she said.